In a mixing bowl beat the cream cheese, butter & vanilla until fluffy. Gradually add in the sugars and beat until well incorporated. Mix in the chocolate chips. ONE HOUR before serving, remove from the refrigerator & shape into a ball & roll in the chopped walnuts. Recipe is delicious without the nuts if peanut allergies are a concern. 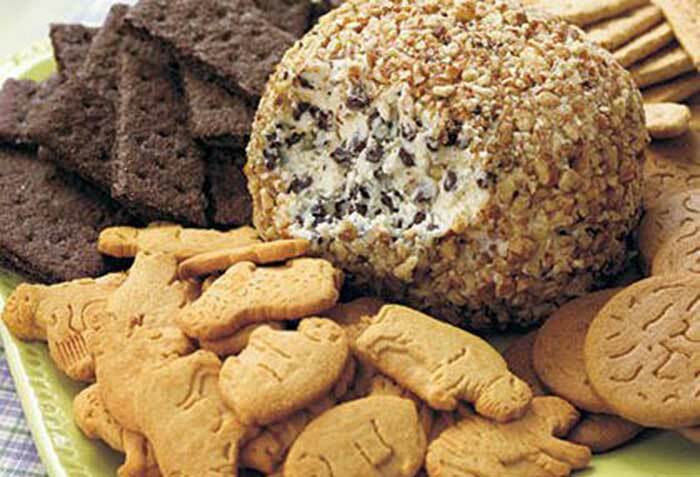 SERVE with the teddy grahams, sticks or graham crackers.